Total sales for the ten largest retail jewellery and watch groups rose by 10% to £1.73 billion in the most recent financial year. Reporting periods vary, but the majority of the ten businesses in this study have published accounts ending in the first quarter of 2018. We have indicated where the accounts are for the 2017 financial year. We have, reluctantly, left Watchfinder out of this year’s Top 10, not because it does not deserve to be recognised as one of this country’s biggest and best watch retailers, but because since being acquired by Richemont, there has been no reporting of any figures. The last number we have is a statement that the business was generating sales of around £10 million per month. If that translates to £120 million per year, Watchfinder would be breathing down the neck of Beaverbrooks, which has turnover of £126.5 million. 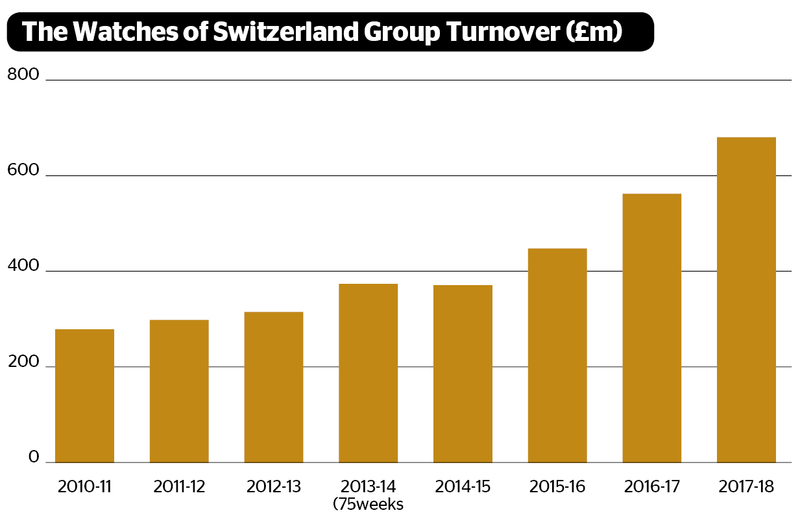 The Watches of Switzerland Group has reported sales surging by 21.2% to £685.2 million for the financial year ended April 30, 2018. 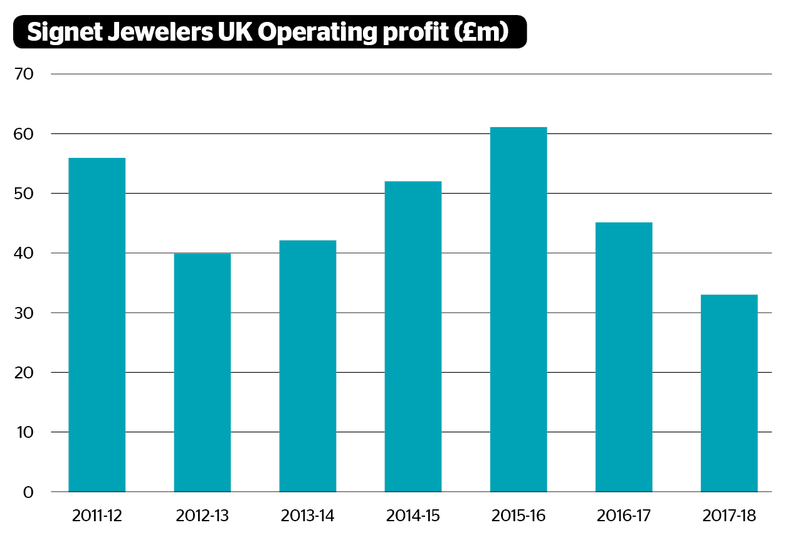 The group overtook Signet Jewelers to become the UK’s largest multi-store operator last year, and pushed into the North American market with the acquisition of Mayors in Florida and Atlanta in October, followed by the take-over of Rolex and multi-brand showrooms in Las Vegas. It has since opened a multibrand Watches of Switzerland showroom in Manhattan and expanded its footprint in Las Vegas. The American business has been key to the group’s growth in the past 12 months, with pro forma net sales rising 9.9% across The Pond while UK sales rose by 5.2%. Worldwide earnings (EBITDA) rose 23.2% to £68 million. 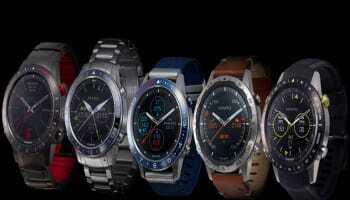 The Watches of Switzerland Group, which is owned by US-based Apollo Global Management, is rumoured to be in preparation for a public listing early in 2019. 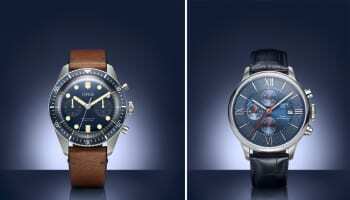 It changed its name to Watches of Switzerland Group on September 1, a re-branding reported to make it more investor-friendly ahead of an IPO. In the UK it owns Goldsmiths, Mappin & Webb, Watchshop, The Watch Lab and Watches of Switzerland. Only Watchshop and The Watch Lab were acquired, with the remaining growth coming from new store openings and organic expansion of existing retail businesses and a marked shift upmarket. Luxury watches now account for 73% of group sales. 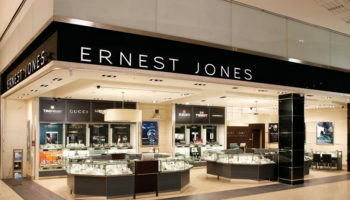 Signet Jewelers’ British operations comprising Ernest Jones and H.Samuel has been a remarkably consistent performer over the years WatchPro has been tracking its financial results, with turnover from the two national chains rising and falling in a relatively narrow range between £433 million and £489 million. The latest full year, which ended January 31, 2018, saw sales dip by 3.6% to £472 million, still the second highest return for the group since 2011. Although sales at H. Samuel have dropped by a little more than those of Ernest Jones, the performance is arguably more impressive because the volume end of the market where H. Samuel sits, has been so testing across branded jewellery and watches. Ernest Jones has maintained sales despite an onslaught on the luxury Swiss watch sector by The Watches of Switzerland Group. 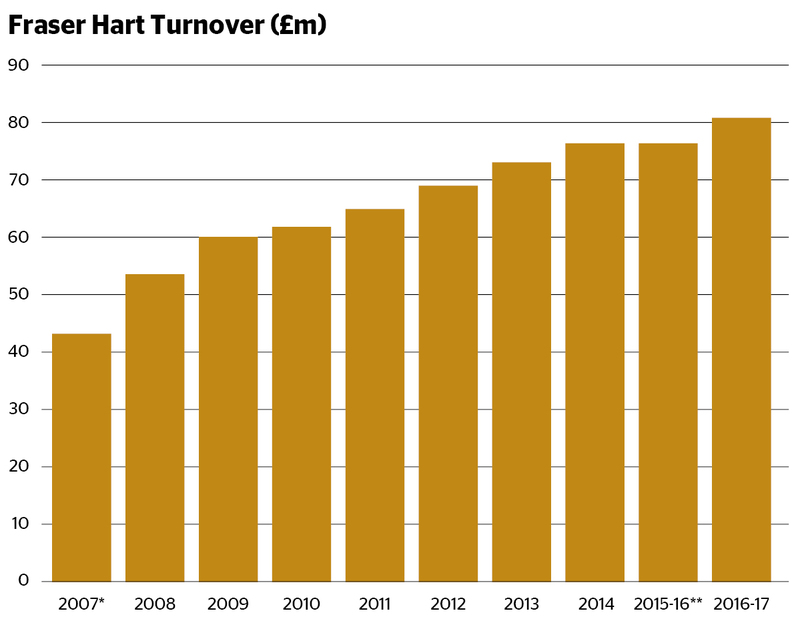 Without Rolex or Patek Philippe at the higher end at Ernest Jones, and with volume watch sales at the sub-£500 price point withering for H. Samuel, the group generated just 34% of its turnover from watches (up from 32% in FY2017). 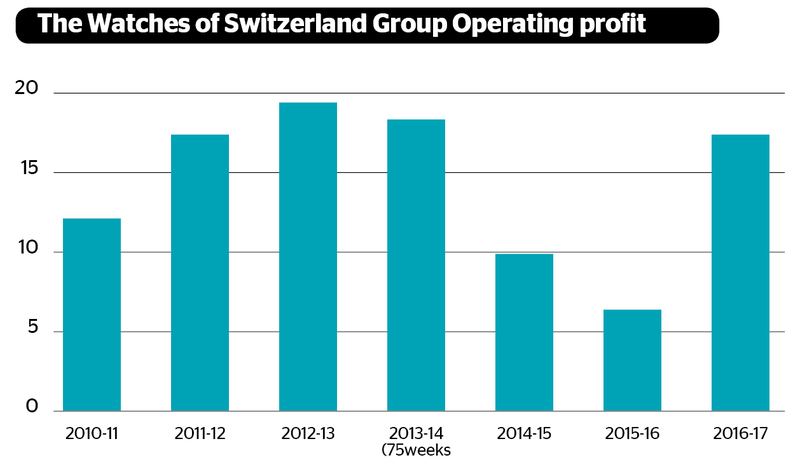 This compares to 73% of sales for The Watches of Switzerland Group. Signet Jewelers, which is publicly traded on the New York Stock Exchange, publishes UK turnover in pounds but operating profit in dollars. That operating profit for FY2018 dropped by 27.4% to $33.1 million. The UK business closed seven stores in 2017-18 and opened three. Beaverbrooks broke through a two year plateau for sales in the financial year ended March 2018 as turnover rose 6.2% to £126.5 million. The growth followed two years when sales remained the same for the 2016 and 2017 financial years at £119 million. 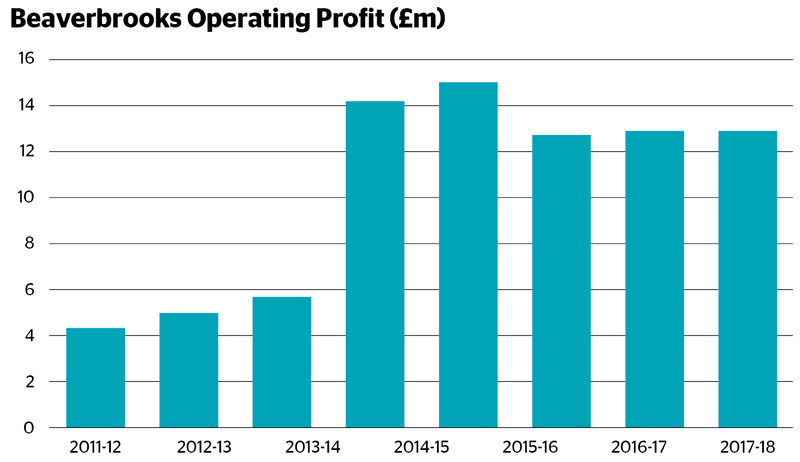 Operating profit was unchanged at £13 million. Beaverbrooks attributes the success to remaining focused on higher quality diamonds, watches and jewellery, and excellent customer service. During the year the company continued its shift towards luxury watches and developed its bridal business to ensure a balanced product offering. As part of its mission to ‘enrich lives,’ the company donates 20% if retained profits to charity and has this year donated £1.11m to charity. Since the year 2000, Beaverbrooks has donated in excess of £12m to over 700 charities. 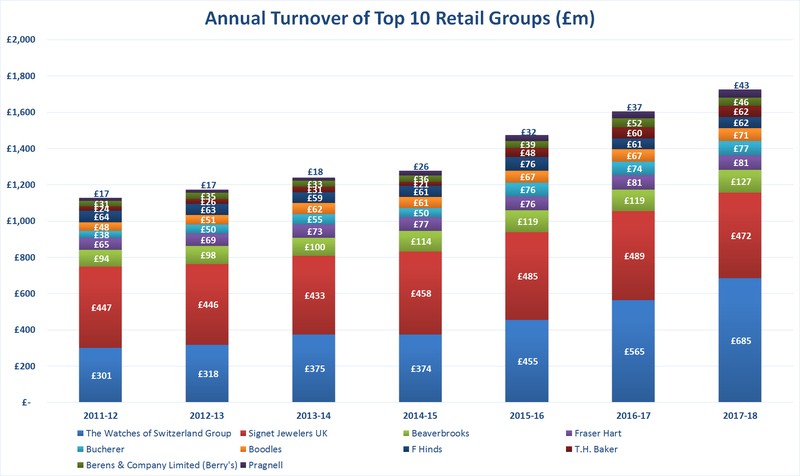 Fraser Hart’s financial year ends later than any other retail group in our top 10, which means we do not have 2018 financial information. 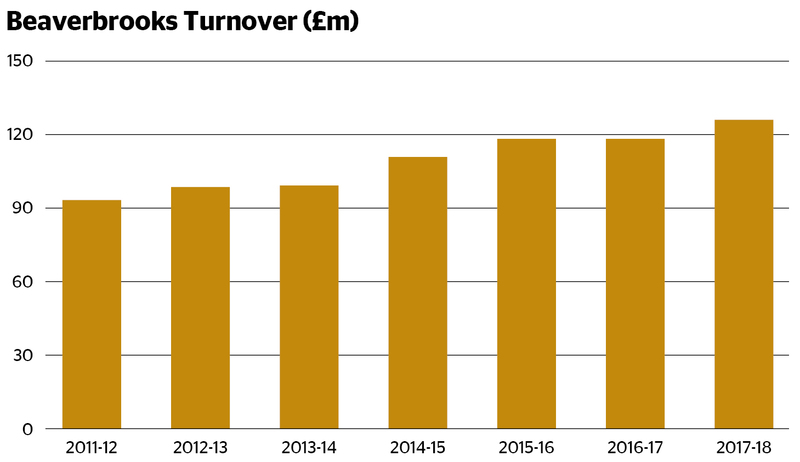 However, there is no reason to think that turnover of £80.8 million in its financial year ending June 2017 will not be matched or exceeded this year. 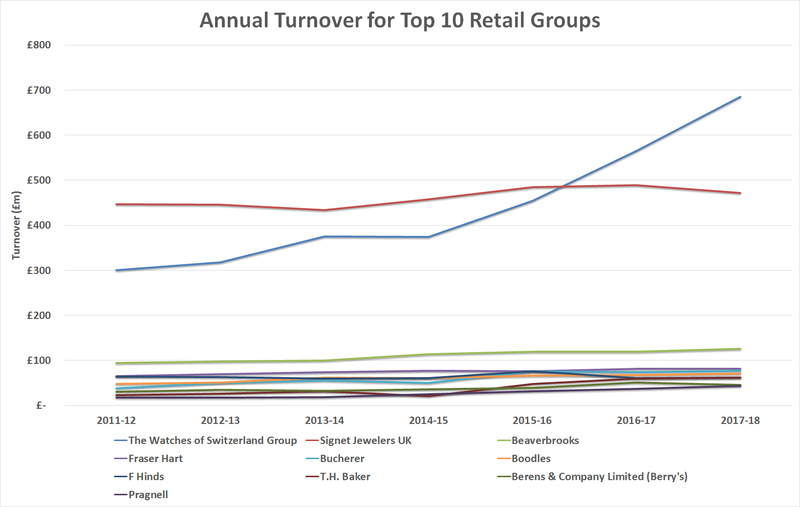 This makes it unlikely to have overtaken Beaverbrooks to claim third place although there is a chance that Bucherer will overtake it to the UK’s fourth largest watch and jewellery retailer. 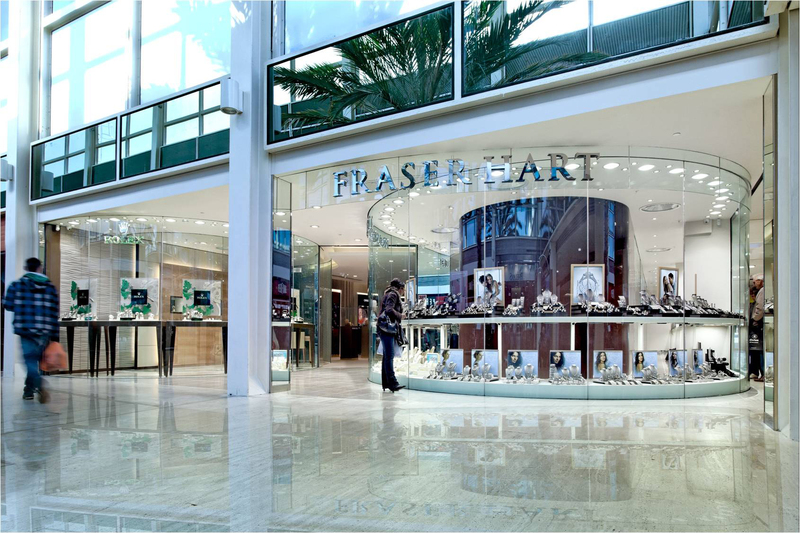 Since the 2017 financial results, Fraser Hart has focused on upgrading key flagship stores including London shopping centre showrooms at Brent Cross and Westfield Stratford, both of which will have fine watch rooms. 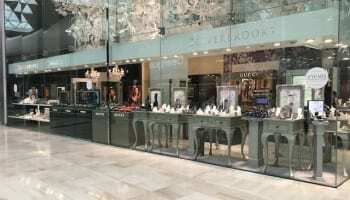 Fraser Hart’s retail director, Richard Parsons, told WatchPro’s sister publication Professional Jeweller that the transformed Brent Cross boutique has already resulted in an increase in jewellery sales, and has bolstered business even more than the company expected. The company has also been focusing on omnichannel, making sure the customer experience is streamlined and exceptional throughout every retail platform. The company formerly known as The Watch Gallery (and DM London before that) is now wholly owned by Swiss luxury jewellery and watch giant Bucherer. 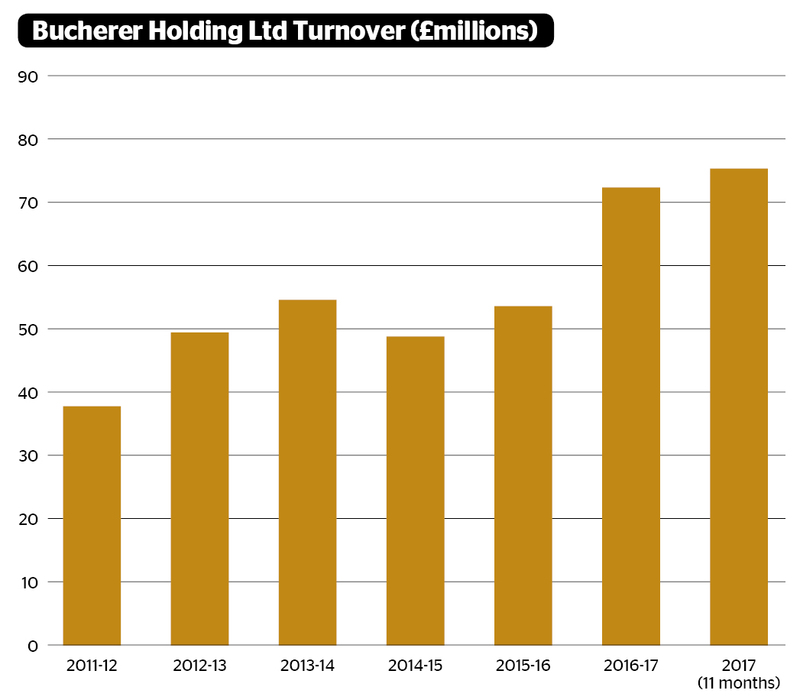 The business was acquired in March 2017 for an undisclosed price, and began trading under the Bucherer banner from October. Prior to the acquisition being announced, the 2016-17 financial year was already exceptional with sales increasing by 34% to £73.7 million and operating profit increasing by 148% to £5.65 million. The business could hardly have been better placed to take advantage of the flood of high-spending tourists who hit London after Brexit crashed the pound. 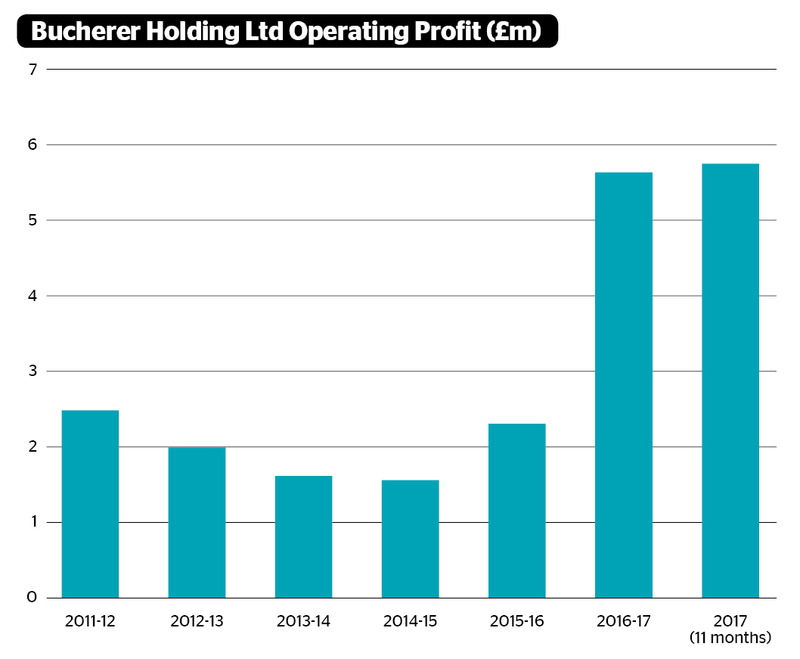 The 2017 accounts that run up to December 31 of that year are reported as an 11 month period by The Watch Gallery, with sales of £77 million, and for a nine month period as Bucherer Holding Ltd with sales of £67 million. 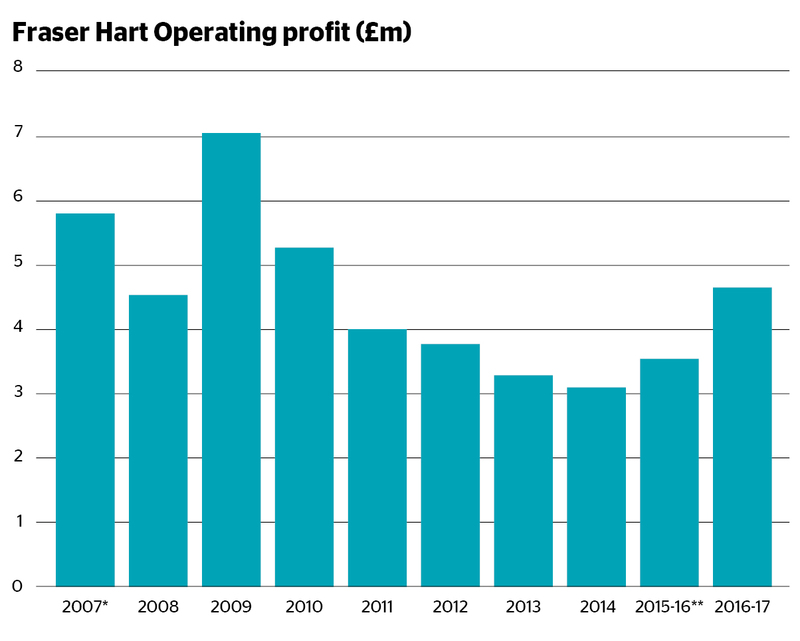 With sales of around £5 million per month, the full year would be £83 million, potentially overtaking Fraser Hart into fourth place in our top 10.